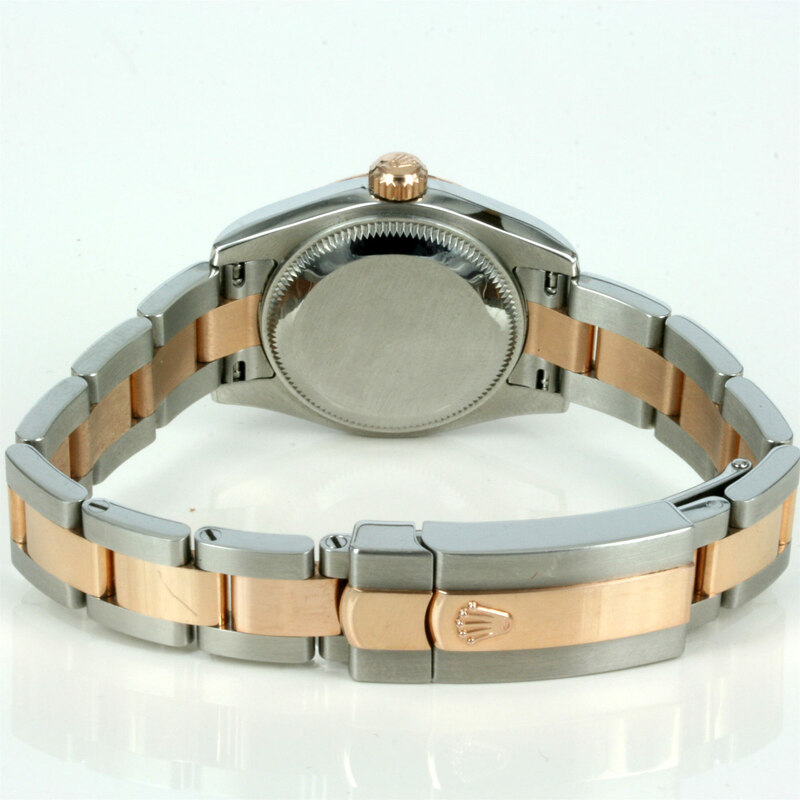 Product code: 1579 Categories: Sold Items, Sold Rolex Watches. 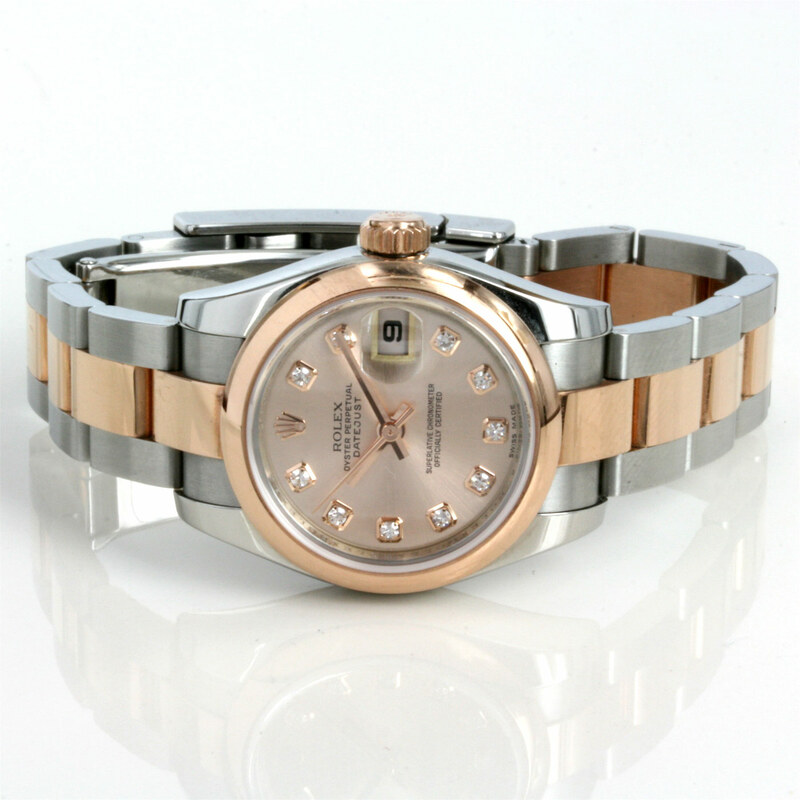 This is a superb ladies Rolex watch that will always be admired – the 18ct gold and steel diamond dial Rolex Datejust with the diamond dial and in the new Rolex “Everose” rose gold. The colour of the rose gold matches so well with the steel, and the watch is on the Rolex Oyster band which looks great weekday or weekend. Measuring 26mm across plus the crown, this Rolex will look magnificent day or night, and is so attractive with that beautiful salmon pink dial. 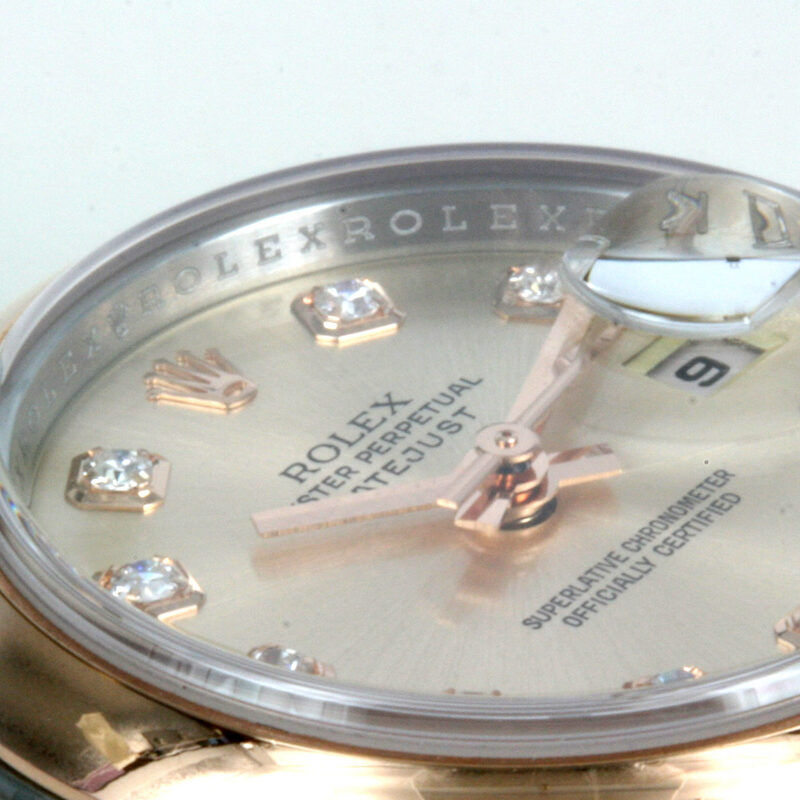 Inside the fully jewelled automatic Rolex movement is perfect and the watch of course has the sapphire crystal. 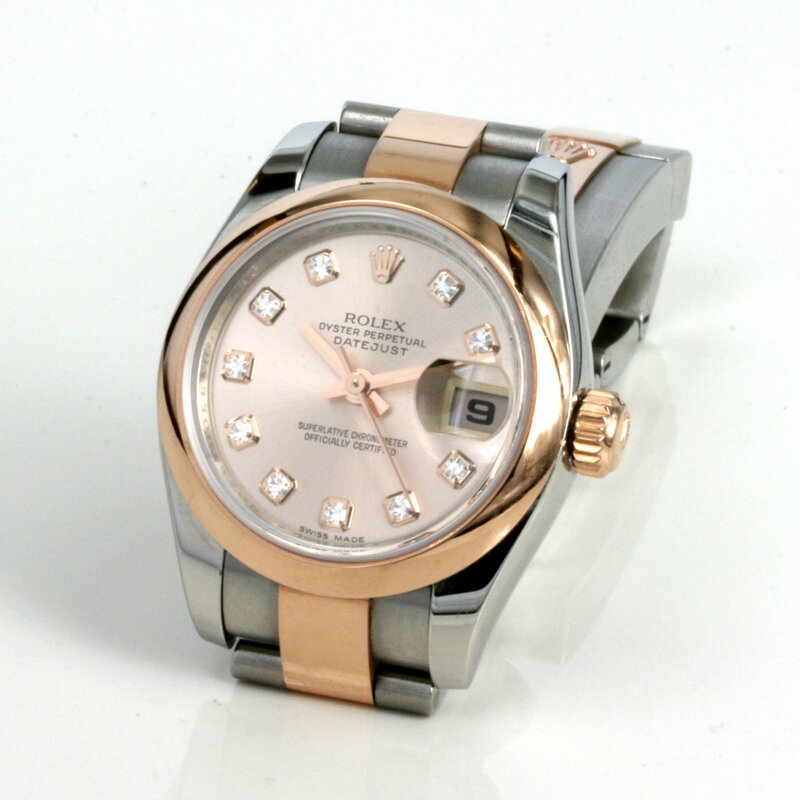 Complete with full box and papers, this ladies Rolex Datejust is simply perfect.